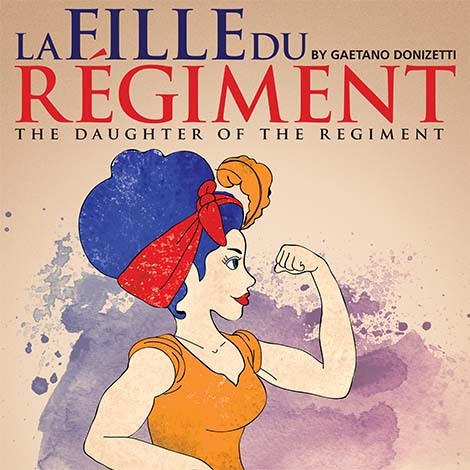 La fille du régiment (The Daughter of the Regiment) is an opéra comique in two acts by Gaetano Donizetti, set to a French libretto by Jules-Henri Vernoy de Saint-Georges and Jean-François Bayard. Casts include Jane Soong as Marie, Yap Jin Hin as Tonio, Shawn Liew as Sergeant Sulpice, Regina Neoh as Marquise of Berkenfield, the Kuala Lumpur City Opera Chorus and KL City Opera Orchestra Ensemble. Conducted by Juan Montoya and Concert master, Lim Jae Sern.